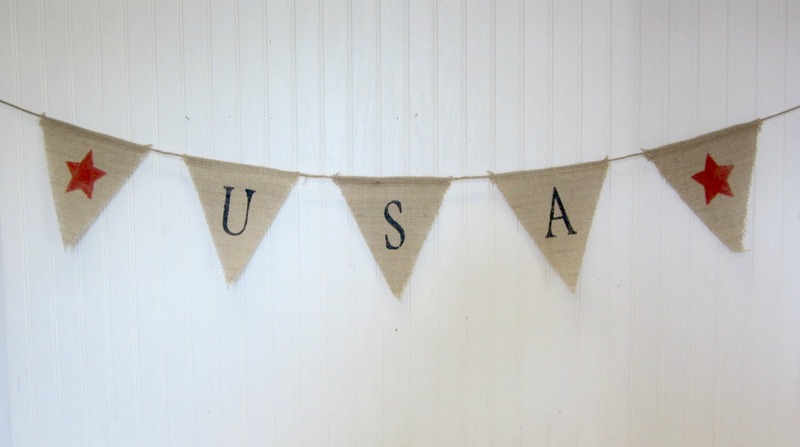 During a trip to Hobby Lobby this week, I spotted this ready made burlap pennant banner. It was 1/2 off, so I purchased it. You can easily make any kind of banner you would like. 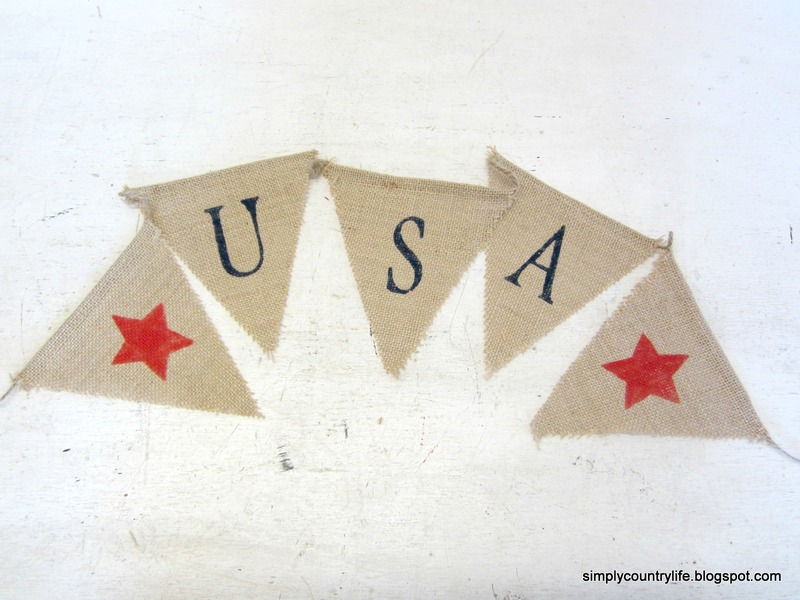 I decided to make a patriotic banner to add to my window booth space. The banner originally came with twelve burlap triangles. I decided to make two identical banners, using only five burlap traingles for each banner. I simply cut the banner in half and removed one triangle from each half. I removed the triangle closest to where I cut the string so that I would have extra string on each end for hanging. Next, I used a manilla folder and my Silhouette Cameo to create stencils. If you do not have a die cutting machine, that's oaky, I've created stencils without it. You can see more details about that here. Then I painted the letters dark blue and the stars red. That's it. I told you it was easy. Enjoy your day and the beginning of summer! Burlap definitely is hot right now. I haven't seen the banner at Wal-mart yet. I know they are carrying a lot of great burlap ribbon! Have a great day too Sherri. Cute as every. I love this project!